This is a rare cat. You don’t see many first filial Bengal cats. The father must have been a leopard cat (Asian leopard cat), which is a small wild cat in Asia. These F1 Bengal cats are a bit of a handful as domestic cats. But of course it does depend on how well socialised they are. I have not met an F1 Bengal cat. However, the Asian leopard cat is known to be very independent minded and difficult to tame in contrast to the serval or margay for instance. 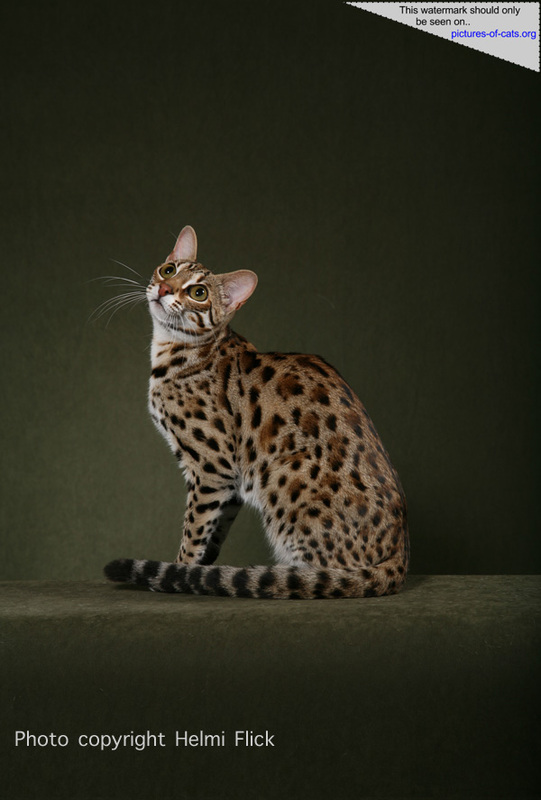 Why didn’t Jean Mill, the Bengal cat founder, create a margay wild cat hybrid instead? I think it was a matter of convenience as the leopard cat she used was being used by a laboratory for animal testing! Not good. This is a dark picture but I have kept it that way because I think it works nicely that way.